I got these last year, they are a good size and sturdy. Great price. Nope, i bought it in like October, i didn't know i could get one after Christmas i thought it was a 30day refund policy? Oh no. Did you get a refund? You can still get the original Stretch Armstrong!! There is the above Scooby Doo along with smaller, different designs, Stretch Armstrong's sausage dog, Batman and I think Superman, I haven't noted the prices of these though, I have a Scooby Doo fan and saw this. Got one last night locally. Seems that there's plenty of stock in the North East. Word of advice about the product - there is no mention of talking mode on the tag or packaging, nor an indication of how to activate it, so I was pressing the toy all around, looking for a button (paws, belly etc.) and gave up. After looking at some reviews I discovered that the activation is by pressing one of the ears. Mine works, but you'd have a hard time getting it to talk if you didn't know where to press. Just missed it, OOS now. hi there heat added ordered this thx monkey great price !!! Oooh excellent more stuff to go in the 300 plus easter egg hunt eggs I need to fill! Wish they had it at my local. One of the Scooby Doo sets that I'm missing... Heat added! As usual, this is only at the OP's nearest branch! At my local store, the reduced to clear stock gets moved to a different section and is slowly reduced until it sells. If there's stuff left I usually bite once it hits 75% off, but I've seen Lego on here at 90% off! That's a great price, the set is retired as well so quite hard to get hold of now. Just picked these up in store. Checked stock online and seems to be plenty. Great price if you have any scooby doo fans. Ordered for my niece, thanks OP. Bought this for a pound more at Christmas, it's good value for money. 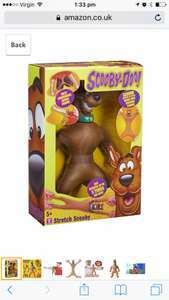 Scooby Dooby Doo Where Are You?...........In Debenhams at 70% off now at £9.00. This toy is very funny and kids love it. I have found this retired product Sainsbury's Chingford superstore. I don't think it is nationwide and does not show on website. There are still over a dozen on the shelf. Can't find anywhere but good find heat added. I love this!! Shame the photo keeps going the wrong way! wouldn't the tin be made in china? a lot of items are imported and then packages together with others. has anyone opened up and looked at candy origin? I actually had it in my basket in Home Bargains just this morning. Put it back when I saw that. Don't mind what else I buy from China but I draw the line at edibles. I used to love popping candy when I was little. Only bought it for the tin. None of us like popping candy! Put me off as it's made in China. Not sure how I feel about food being made there and shipped all this way. Great tin. Worth 49p just for that. This one is £10 in smyths, its puppy Scooby Doo or something like that. And it's also rubbish. Even my sons, who are usually great fans of digital rubbish, had tired of it by the first evening. that's not scooby do. that's zuma from paw patrol. one of the new generation kids TV shows. well that's what it looks like to me anyway. why is this in the -?? 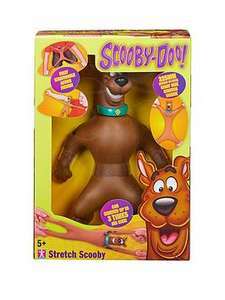 Argos great deal, Approximately 45cm in height.... great buy for any Scooby Doo fan big or small. In the description says it has sound effects too. cheaper than the lego sets anyway,heat. 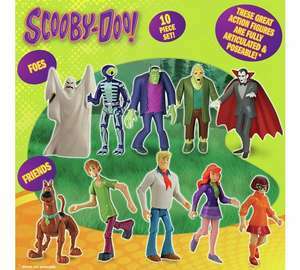 10 Scooby-Doo Figures for £9.99 at Argos! Great deal if new and sealed but I'm fed up of Grainger Games dispatching unsealed items when you have selected new. Every Lego set contains what is in the picture on the front as shown by the OP here. Post a photo of what you got? Scooby Scooby Doo, where are you? - ASDA! More good customer service from Amazon, as they price matched ASDA on this. Also my item arrived on 24th (day of release) and included a free Lego Friends DVD film (1hr long). Great stuff Amazon. Greetings from Amazon.co.uk You saved £1.00 with Amazon.co.uk's Pre-order Price Guarantee! The price of the item(s) decreased after you ordered them, and we gave you the lowest price. 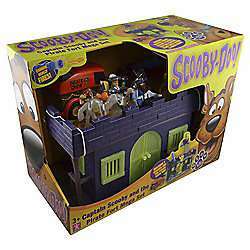 The following title(s) decreased in price: LEGO Scooby-Doo! : Haunted Hollywood (includes Limited Edition LEGO Minifigure) [DVD]  Price on order date: £7.99 Price charged at shipping: £7.99 Lowest price before release date: £6.99 Amount to be refunded: £1.00 Quantity: 1 Total Savings: £1.00 £1.00 is your total savings under our Pre-order Price Guarantee. You will automatically receive a refund of £1.00. You will receive an additional e-mail when this refund is processed. EDIT: PS the kid loved the film! Indeed, and its not like there is any shortage of monsters/baddies to choose from for a Lego figure. The 10,000 volts monster would be a good start. I'm still hoping we'll get a few more sets and maybe Scrappy Doo or Scooby Dee! I know!... the Scooby might have some subtle and slight difference, but looks much the same to me. They could have done a bit better with the free lego item, a scrappy doo maybe?